SPRINGFIELD — Newly-elected Democratic Gov. 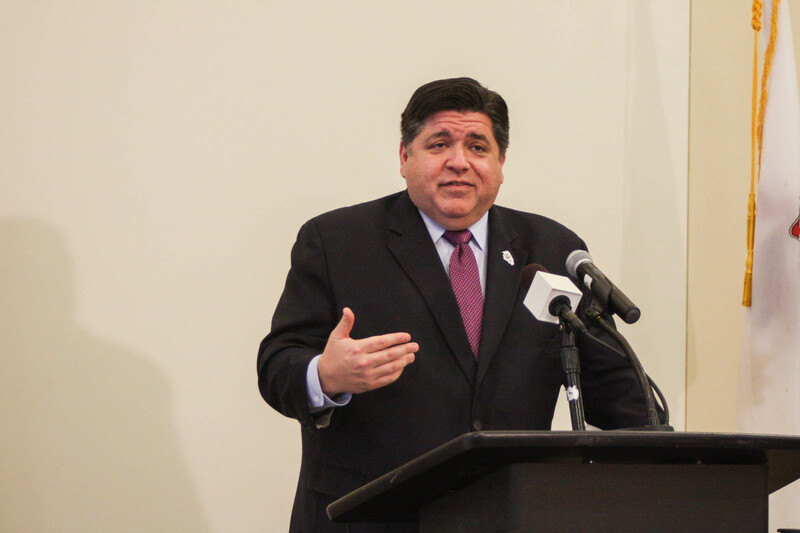 J.B. Pritzker comes into office with supermajorities in both chambers of the 101st General Assembly, which begins in earnest Tuesday. Here’s a look at some of the issues that will likely dominate discussion during upcoming sessions, and what Pritzker and legislative leaders have said about them. Another could be an overhaul of the state’s income tax structure. Although Pritzker has never publicly given specifics for his plan, he has indicated a longer-term policy goal to be move Illinois to a graduated income tax rate, which goes up as income grows. The governor has no formal role in this process. Instead, it would require an amendment to the state constitution. For that to be successful, three-fifths of lawmakers from both chambers — 36 in the Senate and 71 in the House — would have to place the measure on a ballot. It would then need to gain the approval of 60 percent of voters. Pritzker noted this would likely not happen until the 2020 presidential election. Illinois’ railways, roads, bridges, freshwater arteries and other transportation infrastructure will also be rehabilitated, the governor said, if his plans for a capital bill are successful. He additionally noted the need to overhaul the state’s information systems, and spoke of delivering high-speed broadband internet coverage to “everyone, in every corner of Illinois” in his inaugural address. He also said working men and women “deserve a $15 minimum wage,” which the Senate Labor Committee plans to discuss at a Wednesday hearing. Rauner vetoed a similar bill last year that would have raised the minimum wage from $8.25 to $15 by 2022. But before either chamber can begin work to address that issue, or tackle the myriad others both leaders said are on deck this session, Madigan and Cullerton said lawmakers and Pritzker must take one lesson from the previous administration — Illinoisans are tired of partisan fighting and lack of action on the part of politicians. Both leaders agreed Illinois’ transportation infrastructure needs state investment — commuter trains are dated and the roadways used for daily commute need work. Cullerton harkened back to a construction program enacted a decade ago that “invest[ed] in the people, employers and systems that make Illinois great” and called for the creation of another such program. Training Illinois’ workforce for jobs in the health care, transportation and other trade industries was the Senate president’s other main initiative. Cullerton said teaching skill sets employers want with basic skills employees need will both increase the quality of the state’s workforce and attract businesses. For the Illinois GOP, the next two years present a unique challenge. After losing five seats in the House, and three in the Senate, during the 2018 elections, they now find themselves in a superminority in both chambers and out of power in the governor’s office. But with hopes of a new era of bipartisanship in the Statehouse, Republicans still hope they can remain relevant and have a voice in the shaping of future legislation, especially when it comes to crafting a state budget and making any major changes to the state’s income tax system. One of the first issues Republicans hope to put on the agenda, however, is election reform, and specifically the drawing of state legislative and congressional district maps following the 2020 census. Earlier this month, the entire House Republican caucus introduced what they are calling a “Fair Maps Amendment,” a proposed constitutional amendment that would hand over the highly-politicized task of redistricting to an independent bipartisan commission. 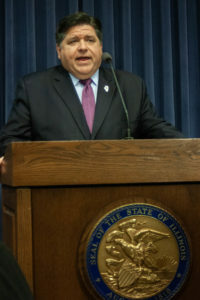 “Governor Pritzker has urged the Legislature to create an independent commission to draw legislative maps, so House Republicans are proposing to do just that,” Durkin said in a statement announcing the proposal.